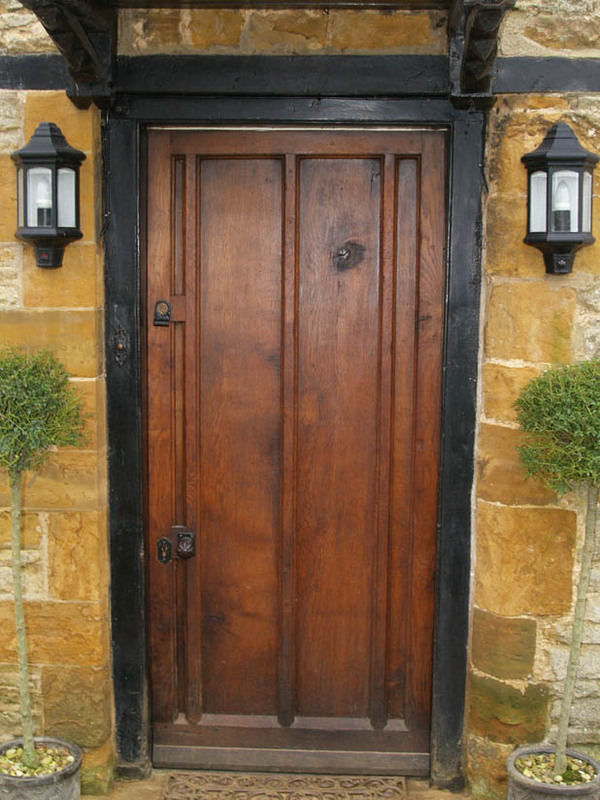 Classic random planked heavy Oak, with ledged door, frame and sidelights. Note the small "peep-hole" door at eye level. 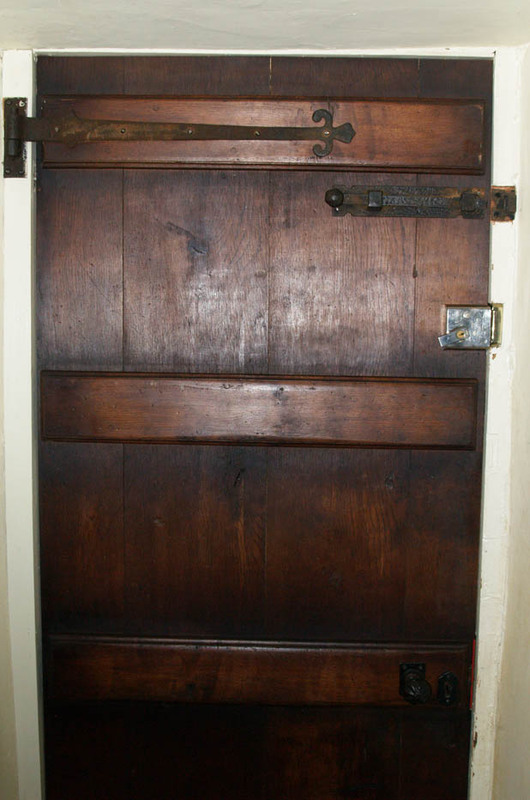 The same heavy, planked Oak door with a black iron grille protecting the small "peep-hole" door behind. 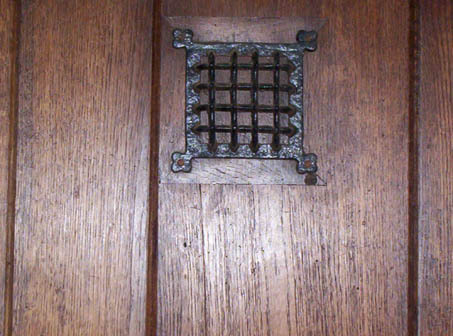 A Grille adds authenticity to this Oak door. 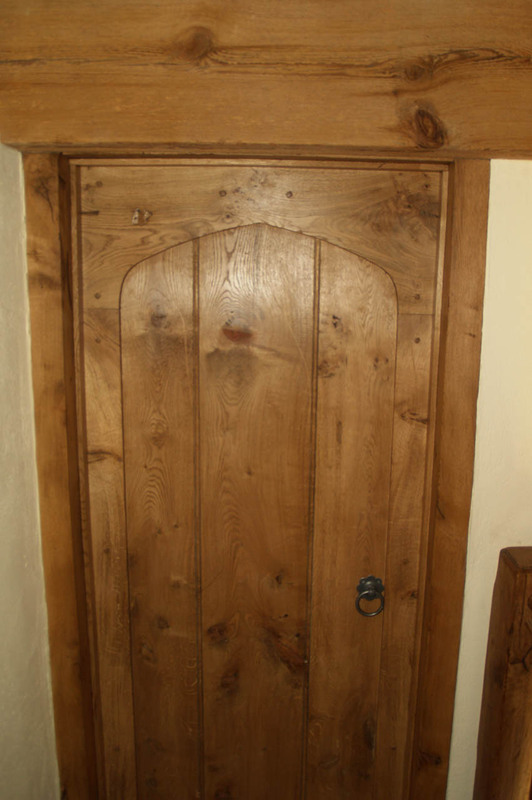 Planked oak door with jointing strips - made to match an original. 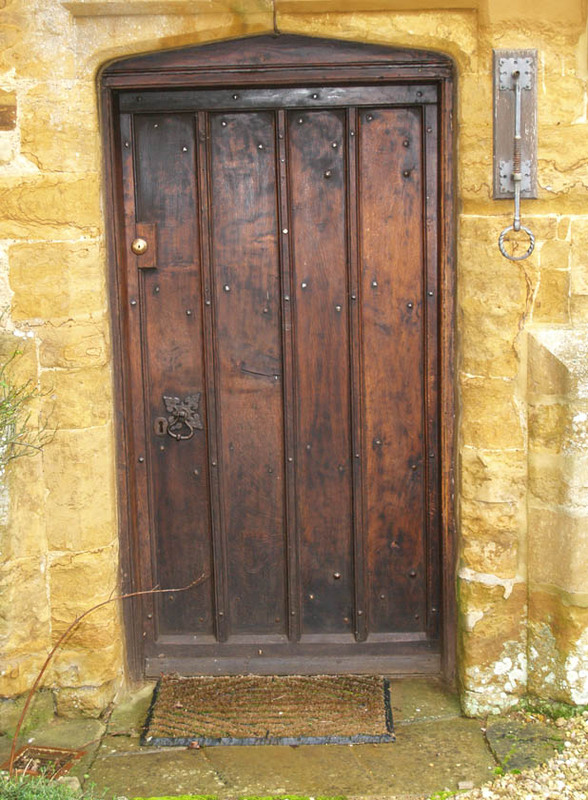 A classic, 17th Century door, matched from an original in a Northamptonshire Manor House. 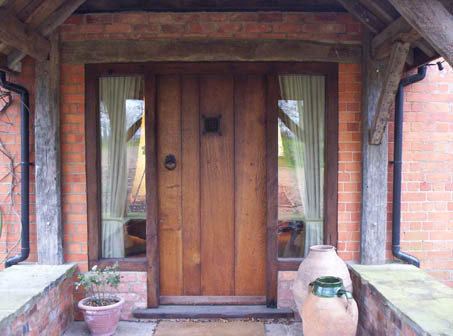 Early country style ledged, planked doors in our ‘signature’ polished Oak. 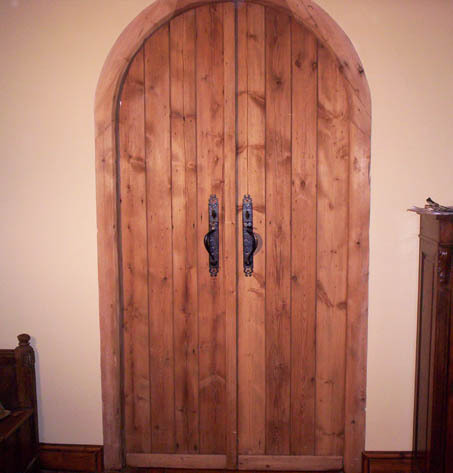 Internal ledged Oak doors with a "three centre arch" feature. 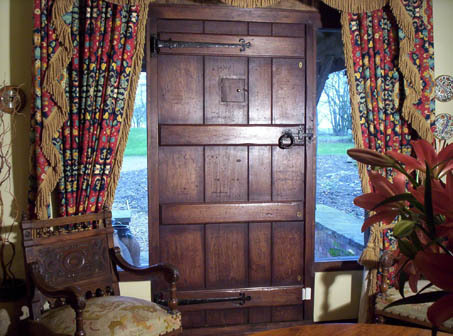 A heavy ledged oak planked door. 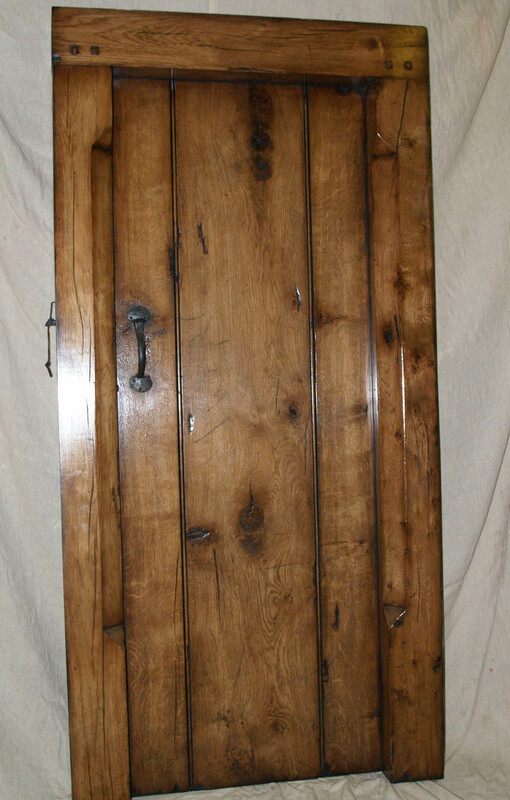 Reclaimed Pine doors and frame. Traditional Georgian two-panelled doors. 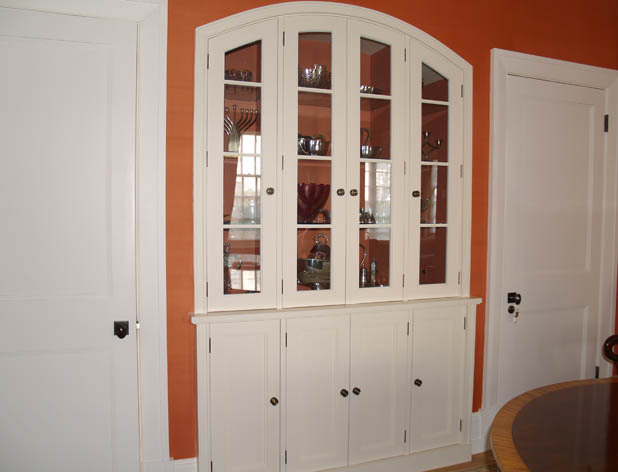 To complete the look we also made the glazed cupboards to fit an existing arched recess.